According to a Facebook event created by member of this group, anyone and everyone is encouraged to attend. They’ve selected this date because others in cities around the country will be protesting in solidarity outside of NSA offices and other federal buildings. 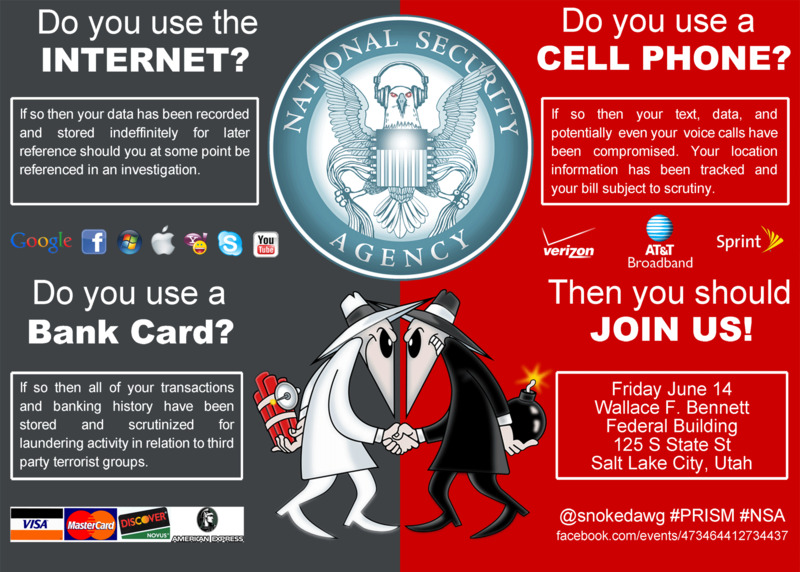 The group aims to get the attention of Utah’s politicians, in hopes they’ll propose legislation to end domestic-surveillance programs. They’ve already reached out to Utah’s representatives. Sen. Mike Lee and Rep. Jason Chaffetz have replied and regret they won’t be attending the protest. However, Lee’s office is supposed to provide a statement regarding PRISM the day of the protest. None of Utah’s other representatives have responded, though the organizer remains hopeful and urges others involved to contact them.